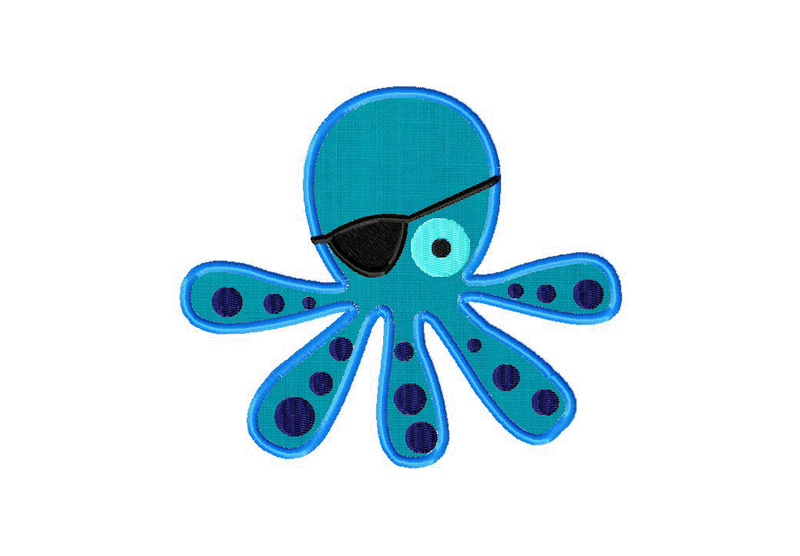 Have an under the sea pirate adventure with today's free machine embroidery design Pirate Octopus. This creature is ready for swashbuckling adventure! Download the Octopus Pirate design for free for one day only. The Octopus Pirate design includes both applique and fill stitch, PDF color sheet and all of the following sizes: 2.5" 3" 3.5" 4" 4.5" 5" 5.5" & 6"